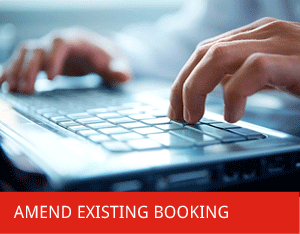 Do you require assistance to check in or to amend your flight booking? 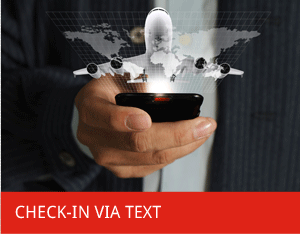 Checkinpal.com are here to help customers struggling to check in or amend their flight bookings. It's a miracle!! Thousand thanks. "THANK YOU VERY MUCH CHECKINPAL WAS BRILL SAVED ME A LOT OF TROUBLE AGAIN THANKS"
"Thank you so much for all your help with this boarding pass. I shall spread the word... I can now relax and start looking forward to my holiday." "A big thankyou from both of us to check in pal for all your assistance with our travel arrangements. Truly Grateful"
We appreciate that you may not always have access to the internet during your travels, that's why we have launched Text in pal. Simply save our duty mobile number, below, to your contacts and text us from anywhere in the world stating the call back option you require along with a contact number, and a member of the Check in pal team will call you back to make your arrangements. When using Text in pal, all fees, including call back charges and fees for services you require, will not be incurred until a Check in pal agent calls you back. *Please note calls will not be accepted on this number, this is purely a global texting service. 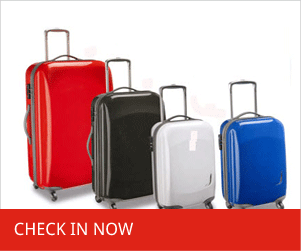 Be aware that Check-in Pal is an independent company and is not affiliated with any airline or transport company. As we are a separate entity operating completely independently of third party companies, we do not accept any responsibility for disruptions caused to your travel plans including airline delays, cancellations, strikes, price changes, operational service changes, rules and regulations enforced by such airlines or transport companies, and any complaints regarding such issues should be addressed directly to the relevant company. Check-in Pals fees are additional to fees charged by the relevant airline, transfer or rental companies for particular services required; the fees charged by Check-in Pal are simply for the arrangement of the required services. In addition to arrangement fees, Check-in Pal also charge for delivery of boarding passes or confirmation, and where requested, for certain callback options. All fees are non-refundable once your requested service, amendment, booking or instruction has commenced, or in cases of a callback, where contact has been made, unsuccessful due to incorrect information having been provided by the website user or where three attempts to contact you have failed. Check-in pal reserves the right to withdraw a particular service and amend its prices at any time. As a customer you authorize and here by consent to Check-in Pal to access and manage your booking, carry out your check-in, amendment or add additional services on your behalf and on the behalf of other named passengers, where there is more than one passenger named on the booking. 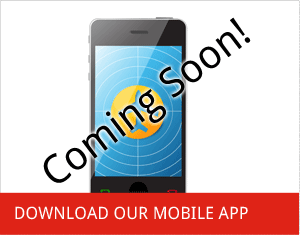 Checkinpal assumes that the website user, leading passenger, named passenger on the booking at the time of making contact has already consulted and gained other named passengers consent for such changes to be carried out on their behalf. Check in pal's services will only commence once payment for the service has been provided by the customer. You are responsible for the accuracy of the information in which you provide in relation to all matters of your booking, Passengers, travel documents and payment details. Where the customer has provided Check in Pal with inaccurate information, resulting in our inability to complete the requested service/s no refund will be made due to the the time and dedication spent on the booking in question. Check-in Pal accepts no responsibility for any losses incurred such as, personal, time, inconvenience, distress, financial or loss of any kind resulting from incorrect or inaccurate information that you ot a third party provider has provided in regards to your booking, whether this be about yourself, others or information regarding your requirements. Check-in Pal always aims to get your boarding pass or booking confirmation to you via your preferred receipt option as quickly as possible, however, in extreme circumstances, beyond the control of Check-in Pal, this may not always be possible. In the event of postal strikes, postal delays in the UK or overseas, technical problems, airline check-in guidelines or acts of God, the method of receipt you have selected may not be possible. Nor are Check-in Pal responsible for the recipient & passengers inability to receive their documents via their selected method of receipt if there is a fault regarding the recipients method of receipt facilities. It is also the responsibility of the customer to select an appropriate and accessible receipt method for all parties, having taken into account timescales for delivery, to ensure the documents arrive in time. Check-in Pal is not responsible if the designated delivery address does not suit all passengers on the booking, it is the customers responsibility to provide the most appropriate address(es) to ensure that all parties receive the relevant documents. Where emergency services or airport collection is requested, you are responsible for ensuring that you are within your airlines check-in timescale, allowing yourself sufficient time to arrive at the airport and receive your boarding card from our agent. When requesting this service Check-in Pal requires time to process and deliver your documents and therefore in some circumstances Check-in Pal may not be able to assist you. If you require Check-in Pals services between 12 and 2 ½ hours before departure then you will be charged for an emergency service. In order to fulfill your requested service, Check-in Pal will need to contact you, Check-in Pal’s ability to do this relies on the accuracy of information you provide. If contact is broken as a result of inaccurate information being provided or an issue with your contact facilities, Check-in Pal is not responsible for any disruption caused to your travel arrangements including costs, damage, delays or missed flights. Where you have requested and paid for a priority or emergency call back, Check-in Pal does not offer any refunds if contact is not reached due to inaccurate information provided or errors with the customer’s facilities. Nor will Check-in Pal accept any liability if, as a result of not being able to make contact, any losses are accrued by the customer. Check-in Pal will attempt to contact you three times within the specified time frame relevant to your call back choice, failure to acknowledge all three calls will result in Check-in Pal no longer pursuing your request. Please be aware that Check-in Pal is only able to operate within the specified timescales provided by airlines and travel companies prior to flight departure. During busy seasonal periods you should make direct contact via our phone lines if you require assistance within a 72 hour period to garuantee that we can fulfill your requirements prior to travelling. As the account holder you authorize Check-in Pal to act as a third party and to submit your payment for the services that you require, for yourself and others on the booking, to the appropriate company, by your preferred payment method. Where any associated fees apply for the choice of your payment method, either with Check-in Pal, the relevant airline or travel company, Check-in Pal will make you aware of these, and you will be responsible for covering these additional costs. You also authorize Check-in Pal to debit their fees for the arrangement of the services you require. Check-in pal aims to provide its customers with accurate information about airline or travel companies and their associated fees. We accept no responsibility where this information is inaccurate or out of date having being changed by the relevant airline or travel company. All prices and information quoted are as a guide and for your information purposes only. By instructing Check-in Pal to carry out any of our services, on your behalf and on the behalf of other passengers included in the booking, you have considered the privacy of other passengers named on the booking. It also your responsibility, as the leading passenger, to be aware that, with some airlines, changes made will affect all other passengers included on this booking, and Check-in Pal will not be responsible if, following your instruction, this causes any disruption or loss of any kind regarding travel arrangements. Your instruction provides Check-in Pal with your authority to access booking details of all passengers named on the booking, and consent to any changes requested that are made. As such, any disruption that is caused due to changes that are requested effecting you or other passengers on the booking are the responsibility of the passengers and Check-in Pal will accept no liability of any kind. To protect the privacy of all passengers on the booking, it is your responsibility to guarantee that the correct details are provided in order to ensure that information regarding travel details of all the passengers is received by the correct parties. Low cost transfers are provided by a third party, our fee is a booking fee for the arrangement of the relevant travel schedule and arrangements you require. We accept no responsibility or deal with any complaints that may arise from an unsatisfactory experience with such companies regarding delays, financial, material losses or disappointment of any other kind. You are responsible for the accuracy of information requested by Check-in Pal, and as a result Check-in Pal will not accept responsibility for any disruptions that may occur due to incorrect details having been provided and passed on to the transfer company. It is also the responsibility of the customer to ensure that they adhere to the travel arrangements agreed with by their travel provider, Check-in Pal will not accept responsibility for any disturbance to travel arrangements that may occur as a result of customers inability to adhere to their pre-arranged bookings. Our fee is to arrange a booking of a vehicle suitable to your request. Accuracy of information to suit your needs including travel dates, circumstances, pick up and drop off points, times, health conditions, details of associated passengers to include infants, volume of luggage, vehicle type as well as holding the correct or relevant documentation including licenses entitling you to usage of the vehicle is your responsibility. As is familiarizing your self with the rental companies policies and guidelines. It is the responsibility of the airline to ensure meal standards, health and hygiene are as per requested, Check-in Pal does not deal with complaints or accept responsibility for issues relating to the standard of food received on board. However it is your responsibility to make Check-in Pal aware of any allergies, health conditions, medical issues, special dietary requirements such as vegetarian or religious requirements necessary for yourself or any other passengers on your booking. Check-in Pal will organize baggage arrangements to suit your requests with your airline, on the behalf of yourself and other passengers included on the booking, providing it meets airline baggage policies. It the responsibility of yourself and other passengers on the booking to familiarize with airline baggage policies to include weight restrictions, baggage dimensions, acceptable and unacceptable items. It is also paramount that in line with airline policies, you have packed your own bags, and are not carrying any prohibited items for yourself or other people on the day of travel, and by informing Check-in Pal during the online check-in process that you and other passengers have packed your own bags, Check-in Pal is not responsible if there are any issues at the airport regarding yours or other passengers baggage. Check-in Pal accepts no responsibility for any loss or extra costs incurred as a result of not following airline baggage policies; nor does Check-in Pal assume responsibility for any damage or loss that may occur to any luggage items during transit. You are responsible for the accuracy of information provided for yourself and other passengers included on your current booking, or to be added to your new booking to include the amended travel dates, times, destinations as well as the names, date of births and travel document details. All identification and travel documents are your responsibility or the responsibility of each travelling passenger, ensuring that they are in date and meet your airline, country’s of visitation or residence’s requirements. Where this facility is available with your airline, you may request that Check-in Pal arranges your seating/boarding options on your and other named passengers behalf. 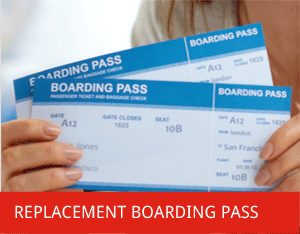 Check-in Pal is not responsible for any inconvenience caused if your desired seating options are not available with your airline or where these have been selected, purchased but not provided by your airline. Any mistakes made by a third party company or your airline for failing to provide the requested services are the responsibility of that service provider and not Check in Pal.